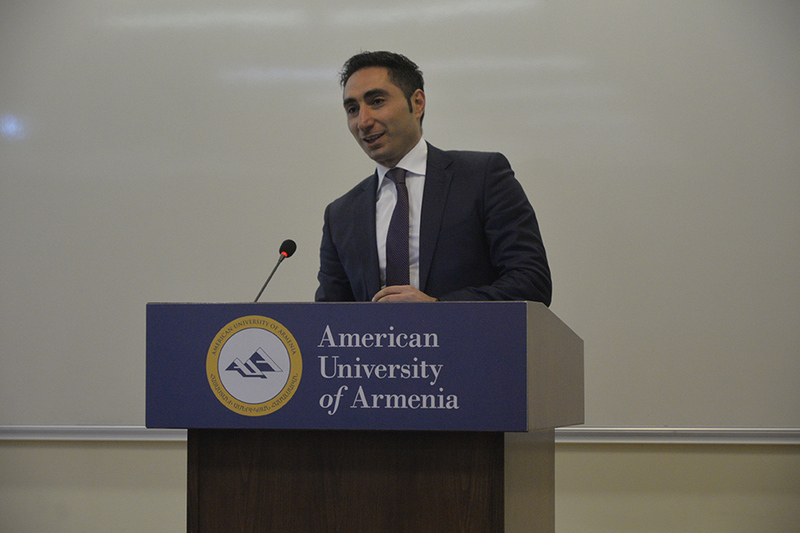 YEREVAN, Armenia – On February 28, American University of Armenia (AUA) hosted Gagik Harutyunyan, Chairman of Constitutional Court of Armenia. Sargis Grigoryan, Managing Partner of Grigoryan & Partners, and Siranush Sahakyan, AUA LL.M. 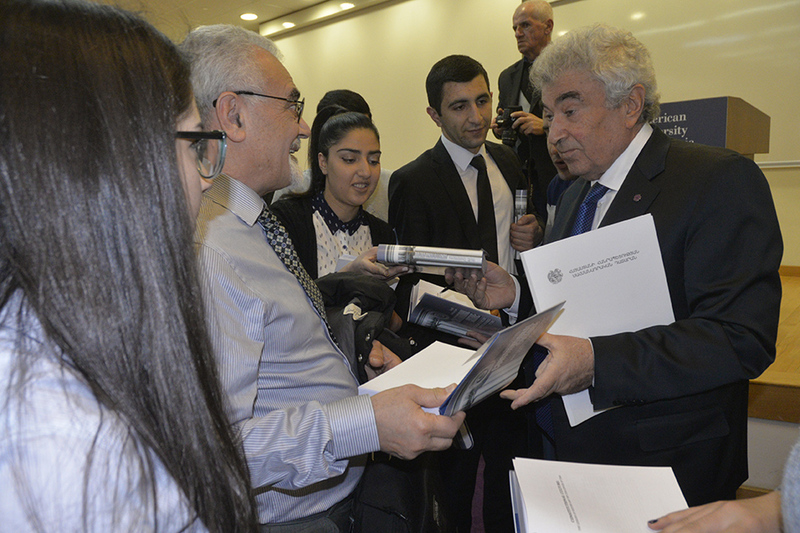 faculty member and Chair of the Ethics Commission for High-Ranking Officials, were also present and moderated a free exchange of ideas between Mr. Harutyunyan and attendees. 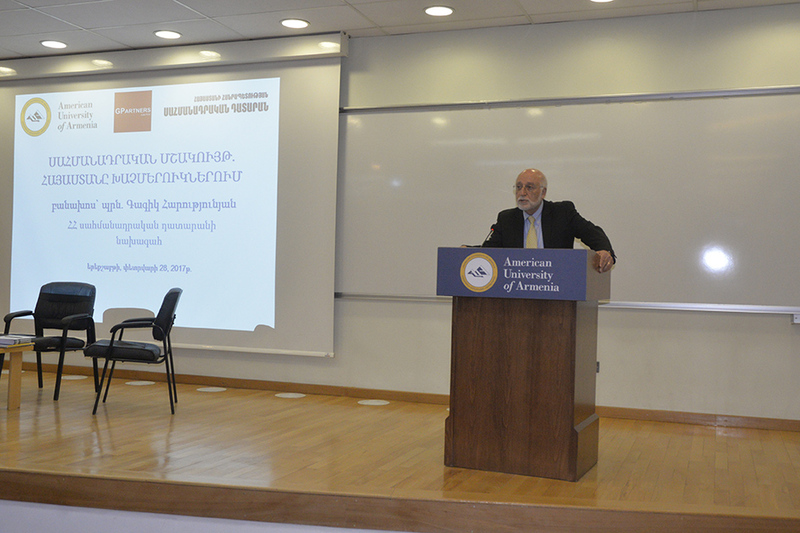 Throughout his speech, Mr. Harutyunyan discussed the constitutional culture in the scope of the contemporary Armenian political situation. He encouraged attendees to deeply explore and understand the concept of constitutional culture as part of a nation’s culture along with music and poetry. “We must see how constitutional culture manifests itself not only in our minds but in our lives as well,” said Mr. Harutyunyan. Referring to the new constitution of the Republic of Armenia, Mr. Harutyunyan mentioned that the main thesis of it will become more pronounced in 2018, however, it will take much longer to see the contribution of the new constitution in the overall stable development of the country. 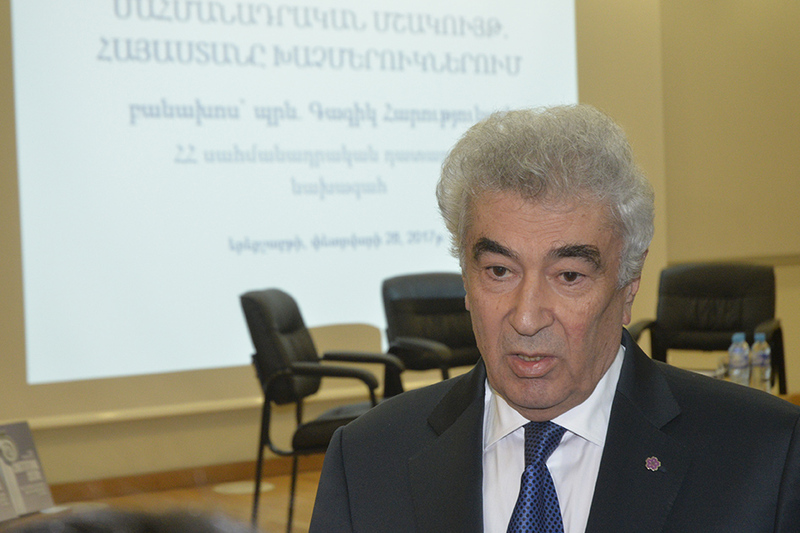 “We must be able to establish a constitutional democracy in the country by overcoming the existing gap between the constitution’s legal system and legal practice,” said Mr. Harutyunyan. Following the questions asked by the moderators of the event, Mr. Harutyunyan also addressed topics related to constitutional monitoring and specific constitutional improvements. Acknowledging the fact that many modern policies include phenomena, which are not legally regulated, he highlighted the need for fundamental legislative arrangements (one of the primary objectives of the new constitution). 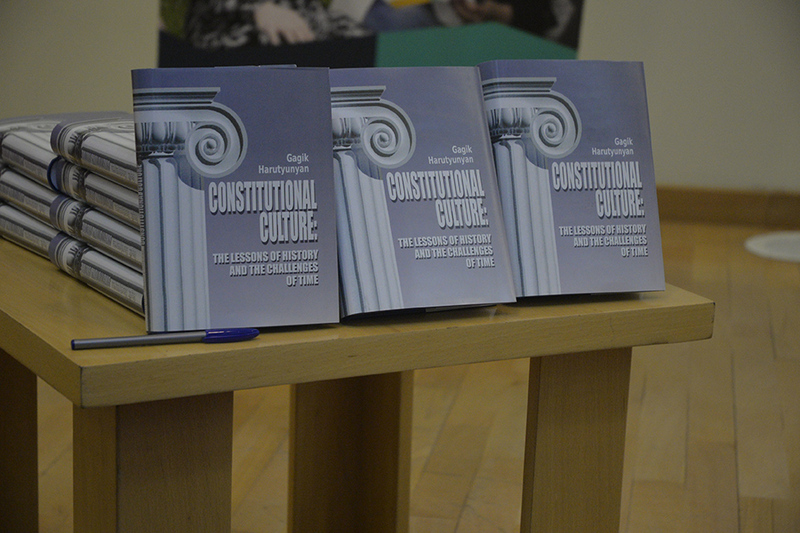 Later, Alvina Gyulumyan, Member of Constitutional Court, presented Mr. Harutyunyan’s book “Constitutional Culture: the Lessons of History and the Challenges of Time.” Toward the end of the event, the attendees were provided with signed copies of the book. The book suggests ways to overcome the lack of constitutionality in social reality, as well as how to leverage the constitution to convey stable dynamism to the public.